Ever wondered how often you should check your guttering or chimney? Or maybe your new carpet from last year has started to look somewhat dull despite having been vacuumed on a regular basis? If you’ve ever wondered ‘how often you should clean your [insert household item here], we have created the household cleaning calendar for you, which is full of useful hints and tips! Make bed: Turn back your bed covers to aerate your bed – this will keep your bed fresher for longer. You can also turn over your pillows, or swap pillows over if you sleep using two (or more). This can also help to reduce acne owing to the fabric pressed against your face being that bit cleaner. Disinfect kitchen surfaces: Using an antibacterial spray, wipe over your kitchen surfaces (worktops, tables and cooker). Such areas are made use of on a regular basis, which can lead to a build-up of harmful bacteria. Whether placing your groceries down on the surface, using a chopping boards or simply touching these surfaces – germs can be easily transferred. It is therefore mandatory that you keep these areas as sanitary as feasibly possible. Clean sinks and draining racks: Many of us are guilty of leaving the grotty task of cleaning the sink strainer, plug or under the dish drainer for a later date (which seldom comes!). Morsels of food, dish-water residue and dirt can all build in such areas. The process of cleaning your dishes is therefore somewhat undermined if the drainer is riddled with bacteria. 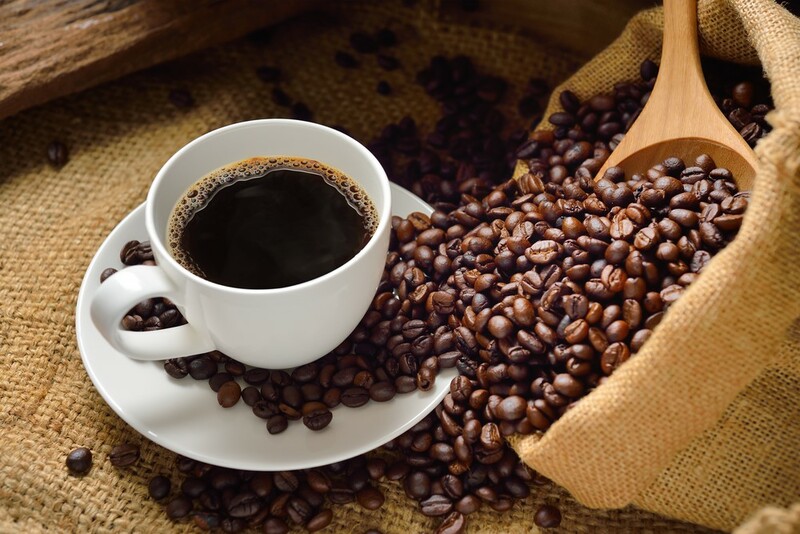 Clean coffeemaker: Wash the water compartment, clean out the old filter residue and wipe down any accessories that come into direct contact with your coffee. Wash up: Don’t leave dishes for the dishes fairy. We hate to be the bearer of bad news, but she doesn’t magic the dishes away. Leaving them for the next day will just allow more bacteria to form and up your risk of becoming ill. Vacuum or sweep your kitchen floor: Crumbs! The kitchen floor needs cleaning again! Even if you do not have a little mess monster (aka a toddler), certain foods are prone to getting everywhere – dry rice, croissants, toast and onion peelings. The kitchen being a communal area also sees a lot of people walk across the floor, which can lead to dirty floors. 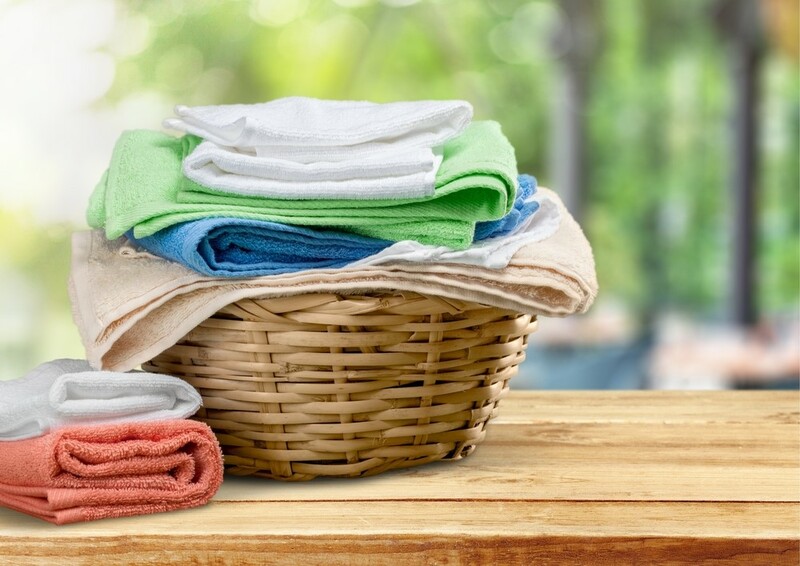 Wash laundry: To minimise the amount of washes needed to get through your family’s laundry, separate your clothes into a dark pile and a light pile. Then, with the use of a colour catcher (or two for larger washes), to prevent mixed colours from running. Wipe down bathroom surfaces: Toothpaste residue, soap and even hair from shaving can collect in sinks and around the plug area of the bath. Wiping surfaces down regularly will prevent build-ups. Vacuum your floors and furniture: This will extend the lifespan of your carpets and furniture, and will drastically reduce the amount of microorganisms living in fabric fibres which may contribute to common household allergies. Change bedding: Similarly, you should change your bed regularly to reduce the number of such microorganisms in your bed. Saliva and sweat also warrants the need for bed linen to be changed on a weekly basis. Dust surfaces: Dust can contribute to respiratory problems as well as causing items to become sticky, or appliances to become clogged. Dusting regularly is beneficial for the entire household. Clean mirrors: Mirrors attract dust as well as other forms of dirt. Wiping them over will keep them gleaming! 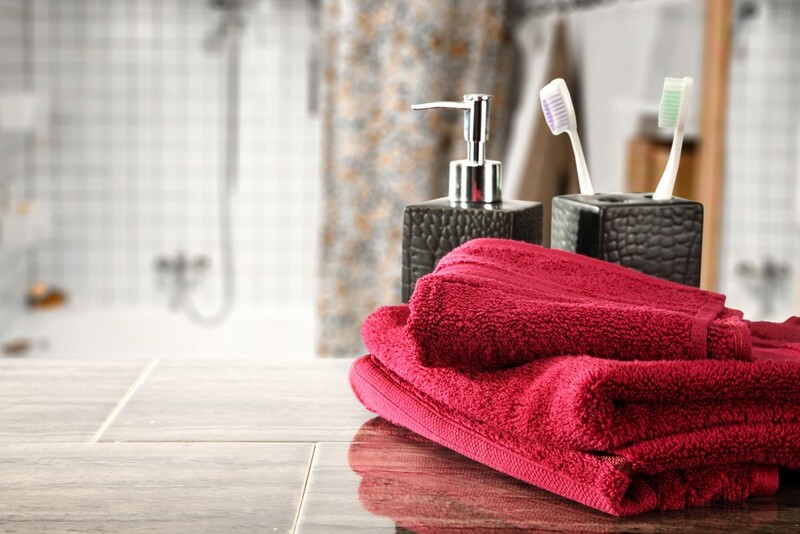 Wipe over bathroom tiles: This removes old water stains left from soapy water. Mop kitchen & bathroom floors: Even after having been vacuumed or swept, tiled floors or floors made from lino can become muddy and dirty. Mopping them weekly is a must. Clean kitchen appliances: Kettles, toasters and other such appliances may become dirty during food preparation – even when the appliance itself is not in use! Wiping them over will keep them clean and will help to elongate the life of the product. Sanitize dish cloths: Many people make the age-old mistake of washing their dishes with a dirty sponge or dish cloth. Soak them in a mix of mild bleach and hot water for a couple of hours, before rinsing again. This will prevent a build-up of germs. Scrub bathroom surfaces: Bathrooms can be prone to damp. It is therefore important that you regularly aerate the bathroom via opening the windows and also scrub between tiles which could see black mould forming. Clean inside the oven and microwave: Used on a daily basis, these appliances have a lot of foods drip, a lot of liquids spill and a lot of hot items splatter within them. Typically, oven trays will be washed, but the bottom of the oven, or the glass door is forgotten about. Bacteria can build and vents can become clogged. It’s time to don the marigolds and tackle the grime with some oven cleaner! Bin any expired food: Commonly, people keep food that has expired in their cupboards, fridges and freezers. Some foods will have expired by weeks, months and sometimes even years (in the case of certain spices or cans of tuna) that have gone unnoticed. Vacuum vents: Vents can become blocked with dust and fluff making them less effective. Vacuuming them will allow a better air flow. Dust light fixtures and blinds: Some vacuum cleaners allow you to vac your blinds to help to remove dust. You should also dust light shades with a dust cloth. - Add some Napisan to a wash to help remove bacteria from the washing machine. - Wipe out the detergent tray. 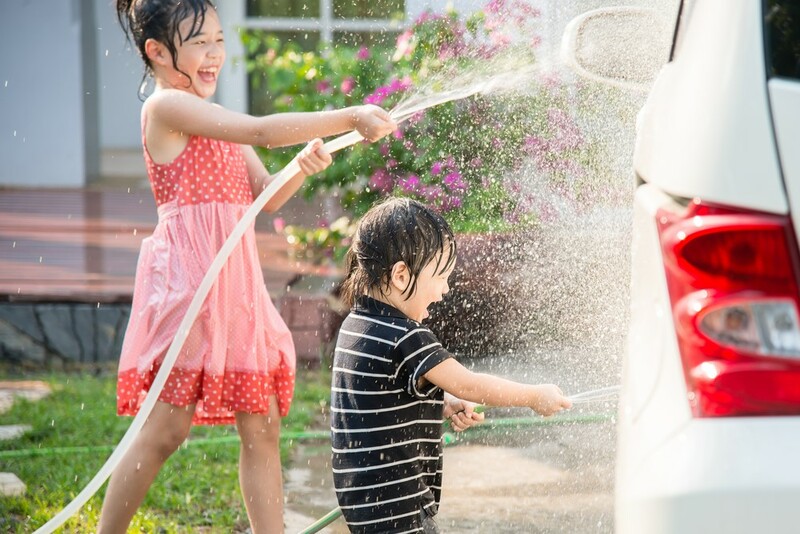 Wash car: Soot, dirt and insects can all cause your car to become grimy. Wash the bodywork of your car and vacuum the insides, giving a particular emphasis to the foot wells and seats which accumulate more dirt. 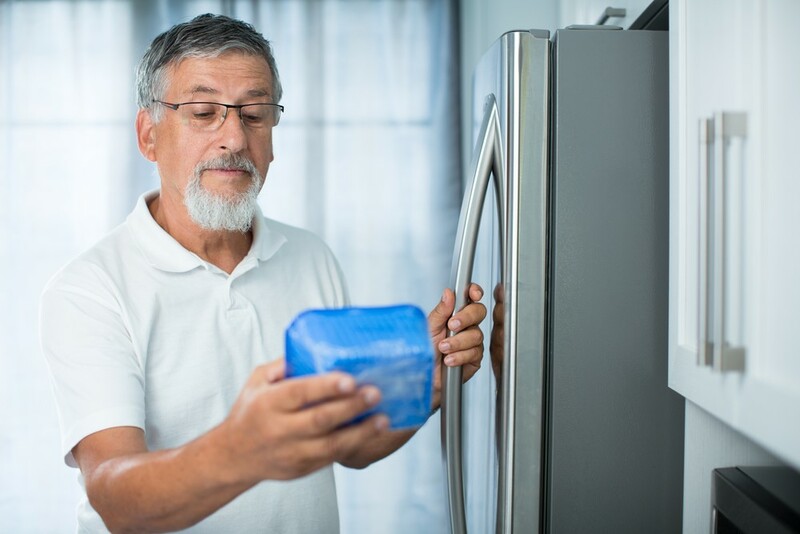 Clean fridge and freezer: Temporarily remove all items from your fridge and freezer. Wash the compartments, wipe the inside surfaces and defrost the freezer. Wash shower curtain: Mildew can form on shower curtains. To keep them fresh, rinse them in the washing machine with some bath towels. The towels will reduce the likelihood of creasing or damage. Vacuum under & behind furniture: Dust, crumbs, animal fur and dirt can collect behind sofas and under tables and chairs. Moving your larger furniture every 3-6 months to clean will help to reduce the likelihood of allergies. Wash pillows & vacuum mattress: Despite being covered, sheets offer little in the way of protection when it comes to dust and microorganisms. Washing your pillows and vacuuming your mattress promotes good health and hygiene. 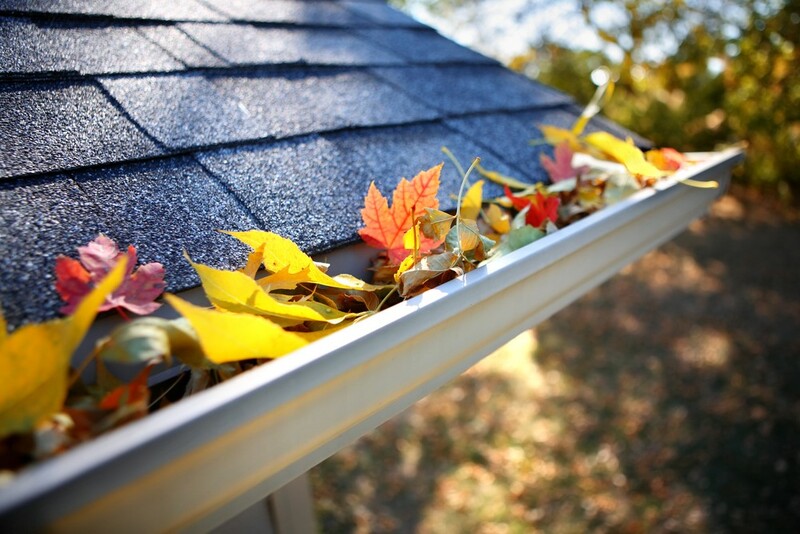 Clear out gutters: Gutters can become blocked by leaves, twigs and other such natural debris. Damaged drainpipes can cause the house to weaken owing to damp. Send curtains to be washed: Curtains harbour dust. They are also handled on a daily basis. It is therefore a good practise to have them washed each year. Clean fireplace and chimney: Blocked chimneys can cause chimney fires. 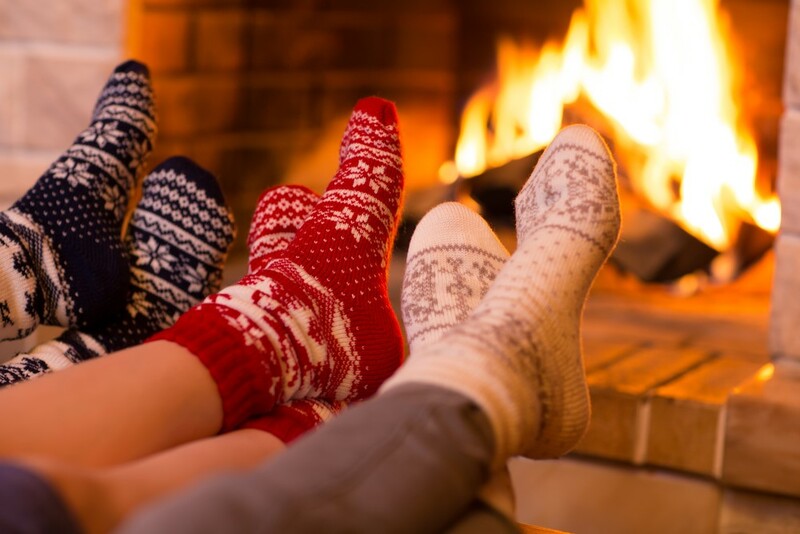 It is therefore essential that you have your chimney checked annually. Deep clean carpet and upholstery: Carpets and furniture can appear to be relatively clean owing to a lack of stains. However, on washing the carpet or upholstery, you will certainly see a drastic colour change for the better. This process will also help with the lifespan of the carpet and the upholstery.